Holidays are wonderful. They’re family-filled and fun. And they’re tough. For some reason, we miss our loved ones who have passed on even more at these times. 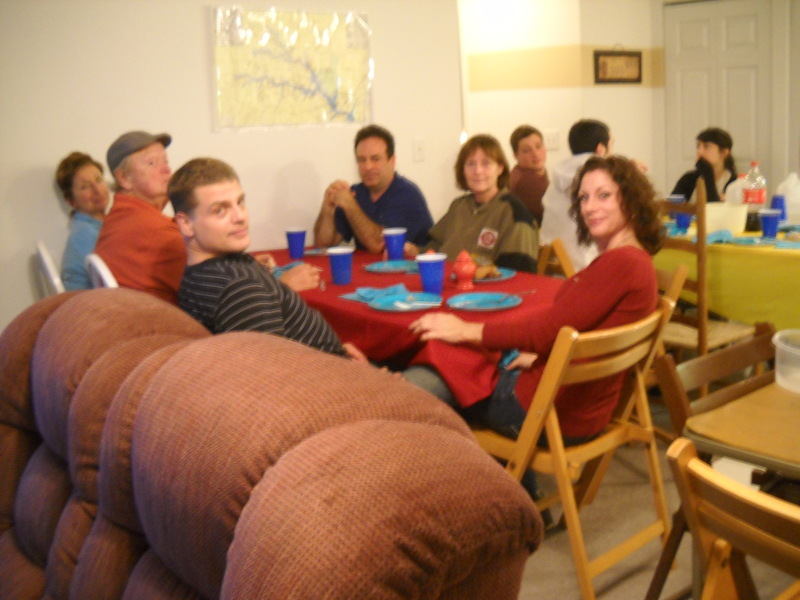 But, by the same token, we enjoy those who are still “with us” more at our holiday get-togethers. For me, it is just SO special to be surrounded by my kids, my grandkids and my great-grandkids. I had two Thanksgiving celebrations this year. Thursday, my Rochester kids and their families joined me and Paul, my soul mate, at my table. It is so much fun to have my sons, Bruce and Tom, and son-in-law Todd, sit down and talk to each other, seriously and jokingly. (It’s been years since I’ve had to tell them to quit wrestling and get up from the floor.) They’re all grown up–finally! Karen, my daughter-in-law, is my co-pilot for the meal and clean-up detail and is a great partner when an opportunity comes up for a good chuckle. Grands Jessica and Jason, Trisha, Scott and Brittany bring moments that I’ll treasure for years to come. Just having them around is a treasure in itself. And, bringing the best possible holiday prize is my great-grand, Daniel. Four years old, quiet, bright and happy, he is the frosting on our cake. Or should I say, the smile on our pumpkin? Friday, Scott, Britt, Paul and I left for Virginia. We couldn’t leave until 3:30 because of an appointment here in town, so we didn’t get to Lake Anna until midnight. Poor Scott did all the driving. Our condo there was great and Saturday morning was busy getting ready for our second Thanksgiving. This time, the meal was around a spiral-sliced ham. My niece, Gwenn, did an awfully lot of work and cooking for this event, bless her heart. We had 15 for dinner, gathered around two tables, which the guys arranged to facilitate everyone being close and still able to eat comfortably. There were: Gwenn, her husband Gene, her daughter and boyfriend, Nicki and Giovanni; my son Jack, my daughter-in-law Barb, their son/my grandson Mike, their daughter/my grand, Laura, husband Chris and twin sons/my great-grands, Wyatt and Riley; Scott and Brittany, my daughter’s kids/my grands, and Paul and myself. Plenty of food and drink to go around; everyone took care of themselves and helped serve and clean up. Thanksgiving isn’t just a day, a holiday. It’s a time in our lives when we think about our families, yearn to be with them, and love them just a little bit more than usual. It’s a time of assessment, of summary, of counting our blessings, and being grateful for what we have while we have it. It’s a thanks giving.